New Delhi: Imagine 3 million trucks lined up filled with garbage. That is how much garbage can be found strewn across India’s landscape, lanes, bylanes, mountains, rivers, seas or simply piling up into man-made hills dotting its skylines. The garbage crisis is for real, it is visible, and years of neglect and indiscriminate actions means that the country is almost drowning under the burden of its own waste. 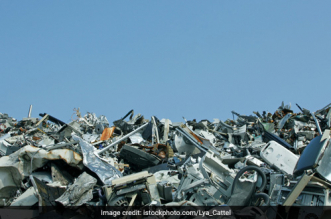 62 million tonnes of trash is generated each year in India, according to the Ministry of Environment, Forest and Climate Change. Of this almost 70-75 per cent of garbage remains untreated. Of the total garbage generated 40-50 per cent is actually waste that is wet waste and organic in nature, which can easily decompose and not accumulate. But currently, that is not the case. Since no distinction is made between different kinds of waste, whether it is food or plastic, either by people like us generating it or by authorities collecting it. All kinds of garbage get the same treatment, which is basically dumped indiscriminately and allowed to pile up. That, in a nutshell, is the crux of India’s garbage problem, negligible waste management. In simple terms, waste management means taking care of the garbage each one of us is generating so that it does not end up going straight into the dump yards. The three R's of waste management are – Reduce, Reuse and Recycle. Basically, waste management involves a series of activities and actions that are required to be taken up by individuals and authorities in order to reduce their carbon footprint. The first basic step of waste management is waste segregation, followed by composting of wet waste and recycling of dry waste. Other steps include management of other hazardous types of waste, including industrial, biological and e-waste. Composting is a natural process that breaks down the organic material into a dark rich substance – manure which acts as a wonderful conditioner for soil. It is one of the simplest forms of recycling that involves everyday kitchen waste. As mentioned, to get started, segregate waste first. For composting what is needed is edible kitchen waste like vegetable peels, fruit peels, small amounts of wasted cooked food etc. in one container and dry waste like dried leaves sawdust, newspaper chunks, packaging material etc in another container. 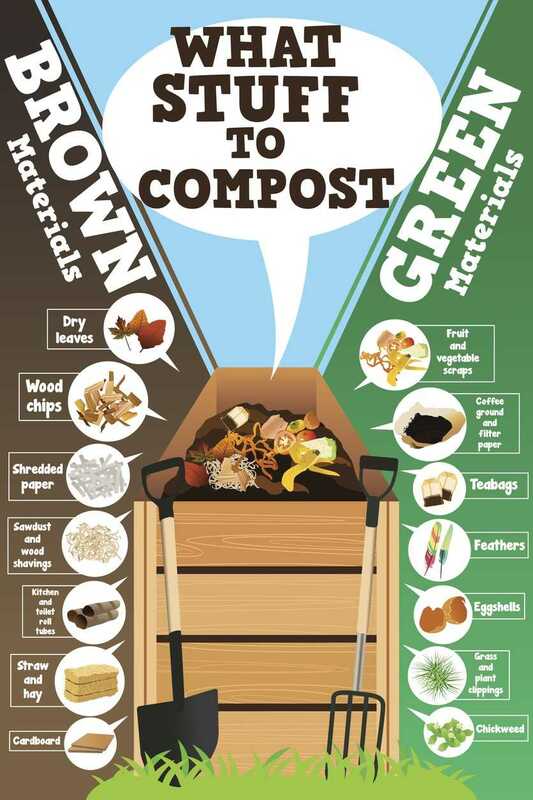 The second step, know what can be composted and what cannot be composted. The third and final step is to start the process of composting. Add kitchen or vegetable waste and dry waste in soil layer after layer. Once a week mix the compost with half a scoop of new soil. Known as one of the most common forms of composting, it involves designating a 25 sq. ft. (or smaller) area in your garden. Place the composting bin there, make sure the bin has some holes to let in some air easily. Once the pit is ready, start the process of composting which involves putting the compost layers. For the garden composting, one should add the layer of organic material in this order – the browns like soil and dry leaves at the bottom, followed by greens, then topped by soil again. One of the main things one should remember is to make sure that your compost is well covered. If your bin starts to smell it means the balance of the waste you have added is off. To keep things going. simply add more newspaper or simply make extra holes. I follow a 3-bin composting system, these are now easily available in the market. The one I have has three identical terracotta pots placed on top of the other, with a lid at the top. Every day, I put waste from my kitchen in the composting bin and then cover it with cocopeat powder (which you get with the composting unit). One can also simply add dry leaves. Once the topmost pot is full, I rotate it with an empty pot. By the time that bin gets full, my compost from the first pot is ready, which I then use it in my garden. The process of composting using red wiggler earthworms or redworms is called vermicomposting. The composting process remains the same – one needs to add the kitchen or vegetable waste in a bin on a regular basis, the earthworms feed on this waste and transform this waste material into highly fertile manure. One hour of dedication each day has yielded a regular supply of pumpkins, sweet potatoes, lemons, tomatoes, capsicums, banana, to name a few, that we are using for organic farming within the hospital area. What we have here are the 5 compost pits, each one is designed in such a way that it is connected to one another. These compost pits are made using bricks, have a height of 2 ½ foot and width is of 4 ½ foot. The bottom one foot of the pit is covered with water and earthworms and on alternate days the half-decomposed material (kitchen waste which we store in a separate bin for 10-15 days) is added to these compost pits. The worms in the pit feed on this scarp and convert it into manure. Once the compost is made, worms leave the compost pit on their own and go to another connected pit. In a months’ time the final byproduct – manure is made. This whole process of making manure with the help of worms is called vermicomposting. Composting is basically nature’s way of recycling waste that is biodegradable. The only thumb rule to follow, waste segregation. Experts say that just by segregating, recycling and composting, a family of four can reduce their waste from 1000 Kg to less than 100 kg in a year’s time. Apart from reducing waste, composting help in building a healthy soil that in return boosts healthy plant growth. Moreover, because of composting, dependency on fertilizers or chemicals can also be reduced. 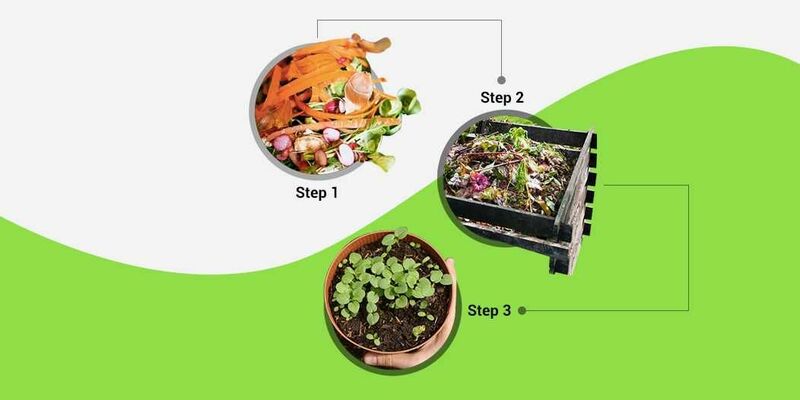 One of the most beneficial things of composting is that it helps in reducing greenhouse gases as when food waste goes directly to landfills it produces methane, a greenhouse gas because the food waste cannot decompose effectively there when mixed with other types of waste. But if kitchen or vegetable waste is diverted from landfills via composting the chances of the emission of methane into the environment gets less and the burden on landfill is reduced. Fighting India’s Garbage Crisis is a special series by NDTV-Banega Swachh India team. As a part of the series, we want to highlight the basics of waste management system in India along with an on-ground report of the National Capital Region about the challenges it is facing when it comes to managing its waste effectively.